Dubai, UAE – October 2, 2018: FORBES MIDDLE EAST recently concluded a gala event to unveil the top real estate companies in the region. 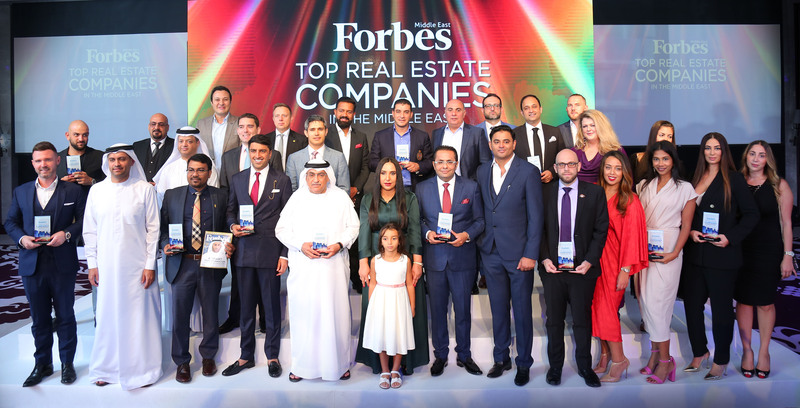 In an exclusive event “Top Real Estate Companies in the Middle East”, Forbes highlighted companies within one of the most economically relevant industries across the Middle East. Forbes Middle East is a licensee of Forbes Media, and extends the Forbes brand of journalism across the Arab world. Forbes Middle East's distinctive editorial style attracts a readership of Arab leaders, entrepreneurs, C-level executives, government officials and investors united by a belief in the spirit of free enterprise and entrepreneurial values.